Belotero Balance, a hyaluronic acid injectable filler, helps replace your skin's natural moisture to reduce the appearance of facial lines and wrinkles. This soft, biodegradable gel integrates into your skin, temporarily reducing moderate to severe smile lines around the mouth, vertical lip lines, marionette lines (deep vertical lines at the sides of the chin) and crow's feet. A Belotero lip injection renews the moisture you've lost due to the aging process. 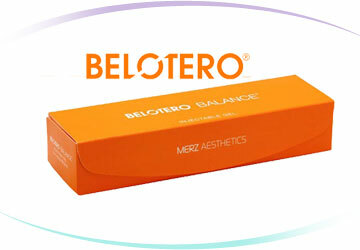 Belotero filler reduces lip lines and makes you look refreshed and vibrant. Our body's supply of collagen will increase after a Belotero injection, plumping up your skin and filling in lines. If your skin is losing its elasticity due to aging, stress, weight loss or chemical exposure, call us to learn more about Belotero and how it can give you a more youthful appearance. Sagging skin and deep lines can make you look older than you are, and can even make you look angry or sad even when you're perfectly content. Belotreo filler can soften the lines and creases that make you look older, and restore moisture and make your skin look taut and full.